I know you're wondering what exactly that looks like, though, which is presumably why Rebellion has offered a substantial look at Strange Brigade's mechanics and modes in the below video. It's decently long as far as trailers go and is most likely one of the last snippets of information we'll get before release day, so be sure to savor it as much as possible. Having previously worked on the Sniper Elite and Nazi Zombie Army series (among many others), the UK-based developer is no stranger to games with a strong focus on gunplay. That said, the arcade-y bent of Strange Brigade is slightly outside of their traditional wheelhouse, so I'm curious to see how well they adapt to it. The game will hit shelves on August 28th for Xbox One, PC, and PlayStation 4. 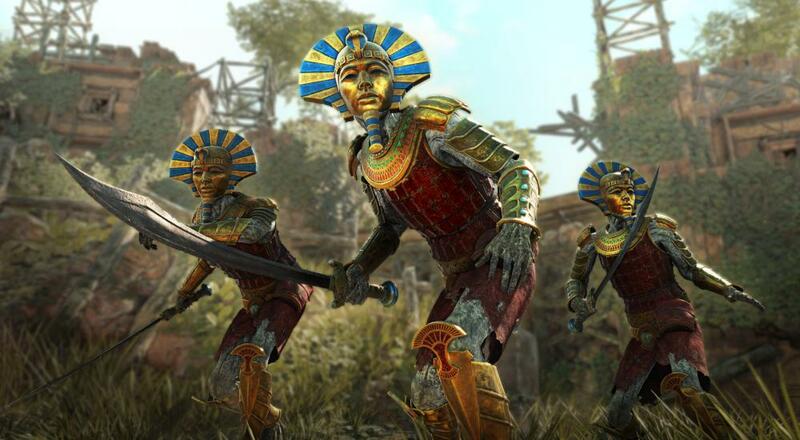 It's looking like just about every portion of Strange Brigade can be played in four player online co-op, meaning you'll never have to face the legions of undead horrors alone.